The top 7 things to do over the festive season. As the winter draws in, it’s easy to wish for those long summer days again here in the Lake District. The darker nights and colder days may not appear the most inviting at first glance, but the winter season in the Lakes offers a host of festive delights. Our 6 hotels based in the Lake District are the perfect base for your winter break and we’ve listed the top 7 things to do during your stay. Whether you fancy yourself as the next Wainwright or prefer to amble along the lake shore, the crisp winter mornings provide the perfect conditions to see the Lake District in all its splendour. We offer free boot hire from George Fisher for all our guests, making it easier than ever to get out and about. Make sure you’ve got your thermals and winter woollies on though as you scale the heights of Hevellyn and wrap up warm for a gentle route along Derwentwater. 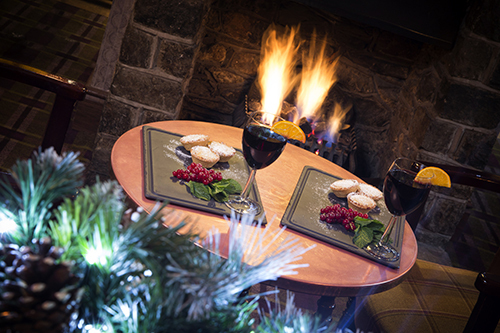 Don’t worry if you’ve forgotten your flask of tea, both the Borrowdale Hotel and the Lodore Falls Hotel and Spa are located off the shores of the lake, providing the perfect chance to warm up over a toasty cuppa or festive mulled wine. If pampering is more your pace, the newly opened Falls Spa at the Lodore Falls Hotel is sure to warm you during the cold winter months. 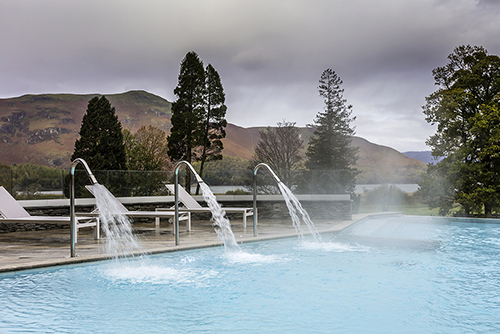 Take a dip in the heated infinity edge vitality pool overlooking Derwentwater, visit our standout thermal suite which includes 12 different heat experiences or indulge in an ultra-relaxing Akwaterra massage. 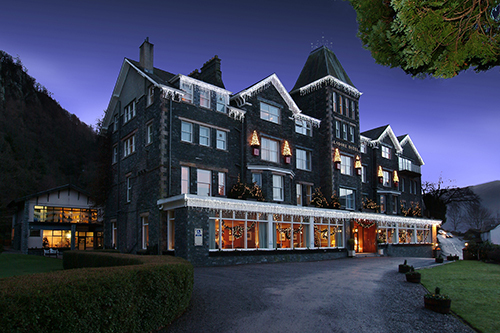 The Borrowdale valley comes aglow with the beautiful lights at the Lodore Hotel. All of our 6 hotels are all also adorned with Christmas decorations and lights giving you the festive feeling both outside and in. This year we celebrated the annual light switch on at Lodore Falls Hotel with the help of local school children and a special appearance from Santa! 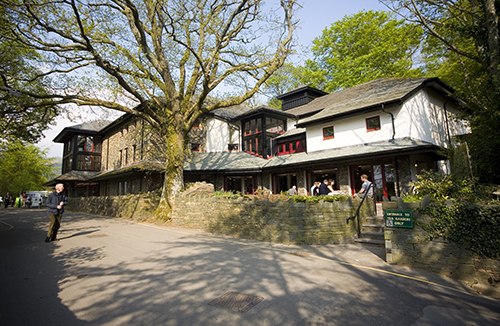 On the door step of our Keswick hotels sits the Theatre by the Lake bringing the magic of the theatre to the Lake District. Guests at our hotels can take advantage of £3 off tickets and the theatre’s festive season offers something for everyone. 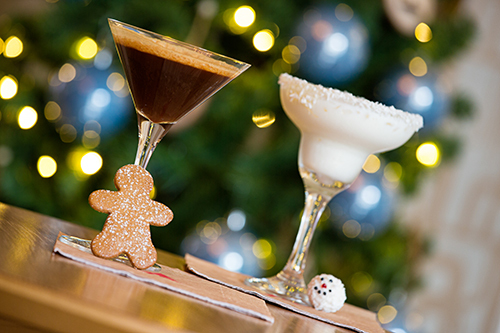 Why not treat yourself to a pre-dinner show at our award winning steakhouse Brossen and follow it up with a Christmas cocktail at Inn on the Square? 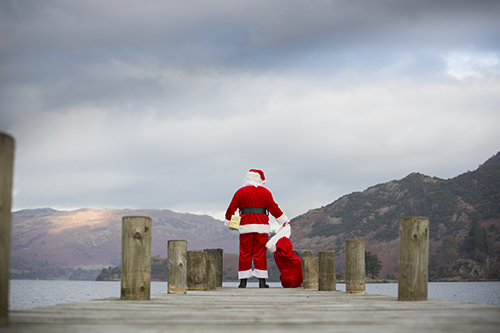 A truly magical experience for both adults and children alike, both Derwentwater and Ullswater offer lake cruises with Santa Claus throughout December. 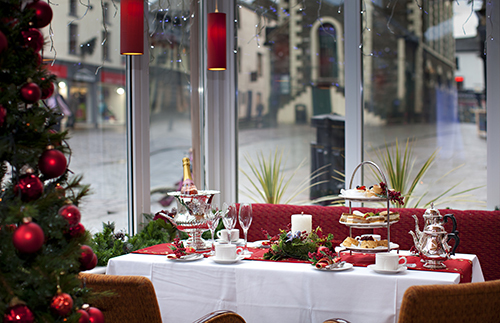 Join us at Inn on the Lake and follow a picturesque tour with a festive yuletide afternoon tea on 2nd, 9th and 16th December. Cruise and afternoon tea packages £27.25 and £13.50 for children. With the Christmas period comes an array of festive treats, from mulled wine and mince pies to traditional roast turkey with all the trimmings. Across our 6 hotels we offer an extensive festive dining menu giving you the perfect fuel for your stay. 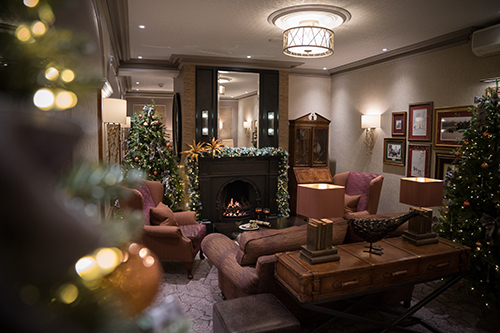 Whether you wish to sit by the open fire in the cosy bar of the Kings Arms or enjoy a sophisticated afternoon tea in the centrally located Skiddaw Hotel conservatory, there are treats to suit everyone. 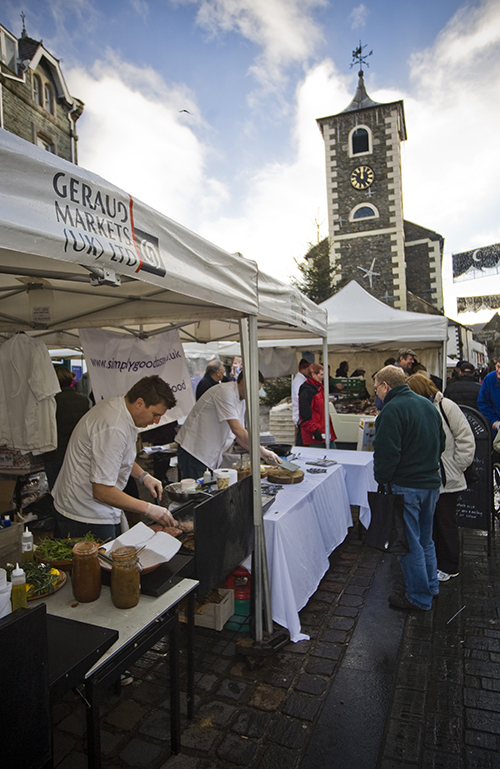 The bustling market town of Keswick is the perfect place to buy unique gifts for all the family. Everything from locally produced spirits and ales, expert outdoor gear and tempting confectionery is on offer so you can find the perfect gift whether it’s for your adventure loving brother or ale fanatic friend. Even better our discount vouchers offer 21 fantastic discounts to local attractions and shops including the Keswick Boot Company, Podgy Paws pet shop and more! With your next winter break in mind, why not take a look at one of our many offers. 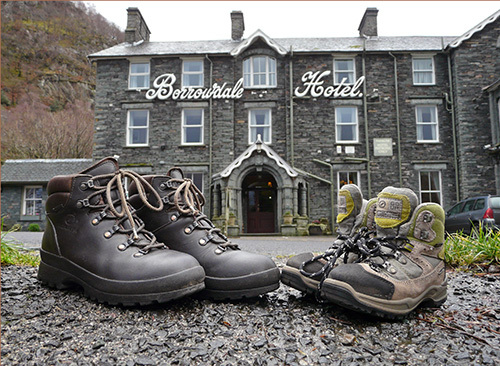 Whether it’s a luxury break in the heart of Borrowdale, or a town centre base for your walking weekend, we have a range of deals to suit your budget.